Silas Peter Thoreau is 2 years old! Si has grown into such an industrious dude. He approaches life fearlessly and inquisitively, both of which we love (mostly). The high chair (minus the tray) gets pushed all over the house and used for a height advantage to get into all sorts of things. He pushed it over to the cabinet, got out the peanut butter, opened it, grabbed a spoon and ate it by himself in about fifteen seconds flat. He’s no joke, and “childproof” caps are no match for this kid. He suddenly acts very “two” and struggles with limits (one vitamin=total meltdown) and has strong opinions about what he does NOT want to eat (“uh uh” shaking his head no and furrowing his brow). He has also become a bit more frustrated as his ideas expand but fail to keep up with his vocabulary, which results in ripped paper, crashed towers, and general destructiveness on a semi-regular basis. We find ourselves offering choices a lot these days and working really hard to resist being totally exasperated with behaviors that are new and less than pleasant. I can’t tell you how many times a day I sing the Daniel Tiger jingle “use your woooords, use your words!” And then he does, which is great! He’s still taking a 3 hour nap midday and sleeping 7-7 at night, sometimes with a wake and sometimes not. He tends to wake at night if he doesn’t get enough one on one with me during the day, so we try to pay attention to that. Silvano P is still head over heels in love with trains and has graduated to the magnetic kind with the wooden tracks. He will play with them for big chunks of time all by himself and loves anything “choo choo tain”. He’s also into dinosaurs, firetrucks, elephants, trucks in general, reading books by himself, his sister, cooking, and singing songs. His musical repertoire is vast these days and super dutchy: baa baa black sheep, ABCs, farmer in the dell, deck the halls, jingle bells, the Polar Express song, I love you so much, a few songs from Winnie the Pooh circa 1977, and others that I forget at the moment. He’s quite musical, so Band in a Box is on the list for Christmas for sure. Silas loves to draw with eat crayons, build and destroy train tracks by himself, take baths, hold Maren, pretend his t rex eats everything in our house, steal our (decaf) lattes, eat cereal and veggies and apples, sneak upstairs, give Maren toys, sporadically use “daddy’s potty” (hates the kid potty), get dressed and undressed mostly by himself, drink from a big kid cup, eat BBQ sauce on everything, and snuggle in the rocking chair with mama. He no longer likes nap/bedtime (he had previously always said “yes” if you asked him if he was ready to sleep, which was weird but awesome), eating things with various colors (berries in muffins=no go), diaper changes, sharing toys, being read to, not getting to go out if it’s too cold/rainy/snowy, and that’s about it. He’s mastered the phrases “not yet”, “what happened?”, “oh boy”, “oh no!”, “come on”, and “no thanks” and uses them frequently. Maren Susannah Jane is 6 months old! Maren is getting quite vocal. She squeals and growls and giggles, although she doesn’t find many things funny enough to warrant giggling. She is a notorious morning person, which is 4am if accompanied by a blowout and about 5:30 on our lucky mornings when she “sleeps in”. Welcome to parenthood. Silas is not a morning person and likes to sleep in, sort of like his dad. Maren is definitely her mother’s daughter in appearance and otherwise. Miss M loves ostentatious patterns, paper or anything crinkly, veggie Mum Mums, muslin blankies, singing of any kind, her brother, the jumparoo, and bath time only when sitting up. If you flip back up to Si’s six month picture, you’ll find they look nothing alike aside from complexion. Genes are funny, though; they both flex their right foot when sleepy, just like Tim. Her temperament is so unlike Si’s was at this age. She still has a very 0-60 fuse which is disrupted by dropping a toy, picking her up when she wanted to be on the floor, not picking her up when she was bored, or getting her dressed. She doesn’t mind diaper changes because she loves to be naked (ahem Garner kid). M is growing lots of hair all of a sudden and is sitting up almost independently. When she gets excited about something she leans leftward, so we’re still supporting her with the Boppy pillow or the Bumbo seat depending on how tired she is. She loves to sit in the high chair and play with toys, which is helpful at dinnertime. We finally can get through most of dinner without a melting down baby or toddler. It’s nice! She’s got one tooth as of this week and, aside from teething, is sleeping all night with one wake up. When teething, she was up every few hours all night and driving me crazy. I’m ever so grateful to have a sleeping kid again. She and Silas are usually both up once, although Si sleeps through a lot, too. Happiest birthday to the boy who stole our hearts the day he graced us with his five pound presence. Love you, mister big boy! A lengthier update to follow since we have a six month old and a two year old. Yikes! It’s the first memorable snow day for Silas Peter. Darling. We have been debating the age old dilemma of what’s more important: the dream job or the dream community? For a long time, Tim looked for the job that would make him feel complete and connected. He didn’t find it. I looked for a few meaningful connections and had a hard time finding them once we moved away. It didn’t take us long to learn that, for us, community needs to be the priority. And our community is in Bloomington. Tim and I both felt immediate peace and excitement, followed by amazing conversations and food with our closest friends and beloved neighbors. Life is good, and this is the right place for us. After Kait and O came for cousin pictures, Rog and Mary Kay came for the weekend. After the weekend wrapped up, we headed to Bloomington for four days, just because we could. It’s SO WEIRD to be back in our old house. Seriously. Tim had an interview scheduled for Thursday, so we looked at a few houses in the last couple of days (no-go’s, for sure) and Tim scheduled his education license exams for today. We even got in social dinners with Matt & Alyssa Monday and Karma & Elizabeth tonight, as well as a play date with Cesca. Busy! Fun! Freezing after the initial warm Monday weather. It’s crazy to think we are going to live here in two more weeks. Yikes. PS: See that giant red clay dirt clump in the background? That’s a roughly 12 feet tall root ball of an uprooted oak tree. A tornado came through and missed the houses but took out lots of trees back here on our old lane. It feels much more open with the loss of a handful of grown trees. Amazing what a difference it makes, even with bare branches in winter. Back to reality tomorrow… and by reality I mean packing up our whole house in ten days. Bring it on. So, this week I realized I use a few things over and over to save my sanity and I thought I’d share them with you. If you know us, you know we like classical music in general. What you may not know is that the right music can turn around the most miserable kvetching, frustrated or otherwise displeased toddler in a matter of minutes. 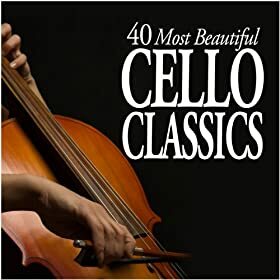 The one that works best for Silas at the moment is this one, and I think it has to do with the magical, deep, soothing qualities of the cello. If you have young babies at home, grab some classical at the library and see how your babe reacts. We use Mozart for the Brain during playtime pretty often as well. Ok, I consider myself a thorough investigator of stain treatment options. I don’t like unnecessary chemicals, but I also don’t like ruined clothes. Silas was such a puker that he never really had blowouts. Maren? Well, suffice it to say she is a gastrointestinal phenomenon. I have thrown away at least ten onesies or outfits of hers already, stained beyond redemption despite Zout, Resolve, Charlie’s, OxyClean, BacOut, and countless others. “But have you tried…?” Yes. I almost guarantee I have tried it. In all fairness, OxyClean DOES work if you spray it immediately and wash it within about fifteen minutes. Who has time to pay that much attention to poop? Anyway. For the heck of it, let’s just say that Tim got up early with Maren and cleaned up the extensive mess. He got the clothes to the edge of the washer where they sat for not one day, but the entire weekend that we were in Onarga (my bad). Also, let’s pretend it happens to be a light colored, super darling, relatively new onesie. I spot treat it with OxyClean free and clear, let it soak, and wash it three times. Stained. Gross. Depressed. Enter dawn dish soap. I squirted soap on the stain (which is the size of a softball, mind you) and add a little water to make it white and soapy and thick instead of blue and translucent. I wash it immediately one more time. IT’S CLEAN. No joke. Do it. If you stay home (or even if you don’t) with babies and toddlers, you know that the duties don’t end. Nothing is sacred and there’s no lunch break. I find that by about four o’clock, I pretty much despise anyone, including the short crazy people running all over my house. This is usually remedied with a small mental breakdown and some food to rescue my low blood sugar. After two years of this, I finally figured out how to prevent it altogether. Caffeine! I don’t consume caffeine because I am nursing and because, even when I’m not, it greatly exacerbates my depression issues after it wears off, but I find that drinking a green or white tea (lowest in caffeine) or a few cups of decaf coffee (a tiny bit of caffeine) toward the end of naptime makes me a happier mom, less crazy wife to come home to, and generally just a better coper with the chaos. I have a book called The Secret Language of Birthdays. It’s horoscopic, ridiculously detailed, and shockingly applicable 95% of the time. I’m not one for horoscopes, but this book is a find. I’m a cusp birthday (Leo/Virgo) and a pretty dichotomous personality in general, but the words of advice on my day say that the biggest challenge for August 23rds is sometimes simple kindness. Shazaam. If that doesn’t hit home, nothing does. I pride myself on being tolerant and accepting of people on the whole. Different strokes for different folks. If we all liked Chevys, they wouldn’t make Fords. You get it. I’m a UUer to the core, and I think there is validity and wisdom in all of our different paths to a moral life. BUT I intentionally keep in check my knee jerk reaction, which is hardly ever kind. Instead, it’s usually sassy and stinging, or at very least direct. I was gifted with wordiness and a bottom line mother, so that’s almost always the first stop my mind takes after being presented with a tidbit of information. Tim and I have been committed to kind and open communication from the start (which of course isn’t perfect, but it is our reality 90% of the time) and we continue to work the hardest at that above all else. It’s sort of like teaching kids to read well and then relying on that to help them grasp all the other stuff. Being kind is our basic skill on which the others depend. The hardest times to be kind to each other? When we are with our extended families. It sounds weird at first, but they you remember the family dynamics from childhood, the element of being comfortable enough to speak your mind, the defensiveness of wanting what’s best for your siblings and parents and not necessarily agreeing with their choices in that moment. All of a sudden, I’m annoyed with something and Tim forgot to put Silas’s hat on and SNAP–out comes a snarky comment about how he drives me crazy. Not kind. The same holds true when we go to see his family. Tensions run higher for him, he feels pressured and excited to see people (social butterfly), the guard is down but the idiosyncrasies of family remain and he gets snappy with me about something straightforward. Outside of these times, we spend our time at home doing a really great job communicating. We say what needs to be said, relay emotions good and bad, and ask for changes in the other person’s behavior without guilt, blaming, or defensiveness. I’m continually proud of us in that department, and there isn’t a whole lot I’m proud of as far as my accomplishments go. Let’s put partner kindness aside. Next up: our kids. I feel like I really rocked being a generally kind and patient parent (which was like its very own zen practice) until the last few months as Silas inched closer to 2 years. He’s a determined boy with big (and usually complex) ideas about how he wants to play with his sticks/bugs/toys. It can be frustrating for him and downright exasperating for me if I let it. When something isn’t going a way that I necessarily want, I either move him away from what he’s doing to something more appropriate. This sounds like parent of the year, but it’s often accompanied by a side of veiled annoyance, lighthearted sarcasm, or lately even raising my voice and turning into that mama that lost her cool. I know, everyone does it, but the goal here (for us, anyway) is to teach our offspring how to deal positively and productively with negative emotions. Mama freak out=Parenting party foul. Our friends Jared and Melissa have brought up in conversation several times my calmness as a caretaker, and I am for the most part. I rarely get bent out of shape. But I have heard myself yell Si’s name in total frustration a handful of times in the last month and it feels horrible to both of us. Yes, I’m stressed about juggling three babies who all sense transition, managing messes repeatedly in the same damn room in a day, packing up our house again, fretting about finding work down South, buying our next home and knowing it’s for the long term, disappointing family members by moving farther away… And you know what Silas notices about all that? That I’m grumpy and impatient and not loving. I don’t want that to be what he remembers. Does anyone make it to the age of 5 with more than 75% kindness in their voices? Because I’d be willing to make some nominations for sainthood. I don’t like raising my voice, and I really don’t like it when other people raise their voices at my kid either. I’m going to focus on my relationship with Si and the way my voice sounds when he is doing something that is less than helpful or appreciated, even in the midst of moving and packing and worrying about grown up things. What about strangers? I find it interesting that Tim has the hardest time with this over the rest while I have the easiest time with it. Several years ago when I lived in Chicago, I mastered the art of the benefit of the doubt. My gut reaction to nasty/weird/rude/less than desirable things that happen is to assume it has nothing to do with me and adjust my plans to move forward accordingly and without anger, spent energy or resistance. It’s really probably nothing to do with you, and you really aren’t going to change anyone’s mind with your reaction. I plead non-reactive approaches and am so much the happier for it. When do you find it hardest to be kind? Is it with those closest to you or those you don’t even know? We all have different things that we find challenging, and committing to that thing that we find difficult can bring about pretty radical changes in who we are. Tim has spent the last three months doing something small that has shifted his life in a positive direction as a parent, as an employee, as someone who messes up as we all do, and as someone who struggled for a decade or more with persistent anxiety and discontent. It takes three minutes in the morning and it colors every minute of the day until his head hits the pillow at night. He will tell you all of this, but what’s more magical is that other people see it and comment about how he seems happy, at peace, calm, “in a good place”, and better than they have ever seen him. I am included in the witnessing–he is literally like a different husband and father, and it has dramatically impacted our family life. Want to know what it is? I’ll give you a hint. It’s a gratitude practice. Specifically, Tim keeps a gratitude journal and writes in it every morning when the house is quiet and the world is still dark. I ordered this one after his therapist and I both brought it up as something that might be helpful for his racing mind, but it sat unused for about 8 months before he started using it daily and committed to it. You may be wondering if it really works; Does it make you happier? Why does it work? Well, I’m no scientist. Here’s a really short article on how gratitude makes you happier, and is especially effective for those who struggle with depression or anxiety. There’s a ton of research out there if you’re interested in scientific studies on happiness linked with gratitude, but I’m more interested in practical, can-do results. I believe its success has a lot to do with a lesson I took for granted until this weekend. In a conversation with Trish and Jeff, I realized that I learned from an early age how to pretty immediately temper negative experiences with a more objective perspective and that allowed me to move beyond the negative and form a plan of action to change whatever caused the yucky emotions. In other words, perspective is the result of gratitude. Jeff’s mother started the practice when he was a young boy, and I don’t want to put words in his mouth, but the gist was teaching the kids to respond to hard situations or disappointments by thinking of things to be grateful for. I see another facet of gratitude that contributes to the way it works, and it has to do with the “beget” concept. With babies, sleep begets sleep. With grown ups, negative energy perpetuates negative energy. We all know those people who can’t see any good in their lives and are stuck in a cycle of complaining and victimization. I think we all go through that in one way or another. The human brain is prone to cyclic patterns, be they positive or negative. But the good news is gratitude begets more gratitude and all of a sudden you are seeing parts of your life in a positive way that were the bane of your existence not so long ago. Tim can have the worst things happen in day’s time (a lot can go wrong in second grade when you have 25 of them), and now he “zens it out” as he says and looks at it for what it is (over and done with) or as a gift (teaching him something in the process of the mess). Suddenly, “overwhelmed” and “anxious” aren’t descriptors of the days and our time at home feels surprisingly different, enjoyable and connective. He hasn’t had a sleepless night or a mind racing day for months. It has literally impacted every aspect of his life. Halloween was really special this year. We surprised Tim’s parents by driving over a day early and leaving a wee Frenchman at their door. Adorable. Not painless since the GB babies screamed a solid hour of the drive, but adorable.